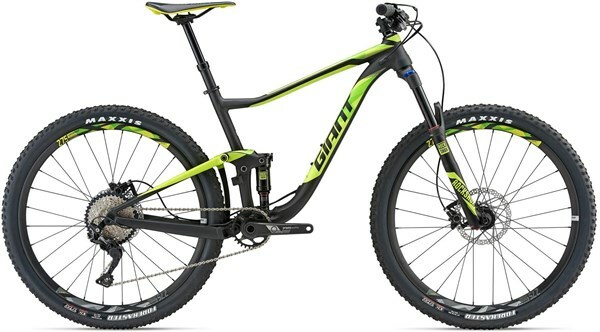 The Giant Anthem 3 is a 27.5” trail bike that makes a compelling case to go to full suspension. 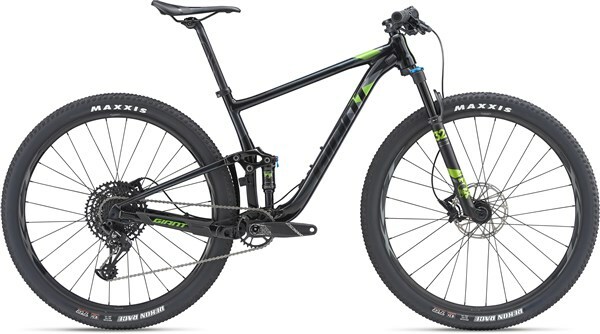 The value for money on the Anthem 3 means that you can hit the trails at full tilt knowing that the frame and components are capable of taking on the trail ahead. The Maestro suspension with its 110mm travel is efficient and confidence inspiring, happily climbing to the top, while descending with aplomb. The Anthem is built on a lightweight ALUXX SL aluminium frame that’s specifically engineered for quick and agile 27.5 wheels. It features the latest Maestro rear suspension design with a trunnion-mount shock for smoother trail performance and an Advanced Forged upper rocker arm for added stiffness. It features an updated 130mm suspension fork up front and Boost hub spacing (110 front/148 rear), which improves wheel stiffness for even more control. The OverDrive steerer tube gives it a stiff front end for razor-sharp steering, and the PowerCore bottom bracket maximises pedalling stiffness and power transfer. After my first weekend on the giant anthem I can say it's an amazing bike to ride. I'm in between frame sizes and went for the M I think it's a little big for me but I can get used to that.